CLOSEOUTS. 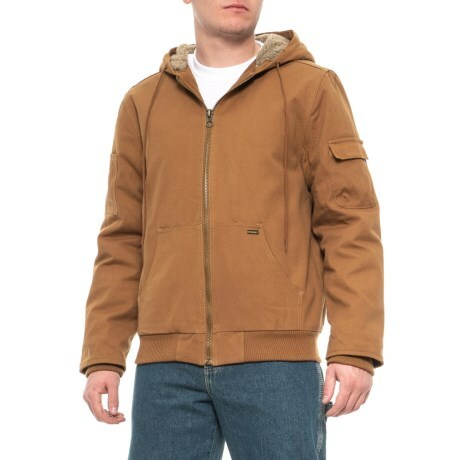 Durably made for working in tough environments, Stanleyand#39;s canvas hooded jacket is lined with sherpa fleece to keep you warm and comfortable. Available Colors: ALMOND, BLACK, BROWN. Sizes: M, L, XL, 2XL, LT, XLT, 2XLT.